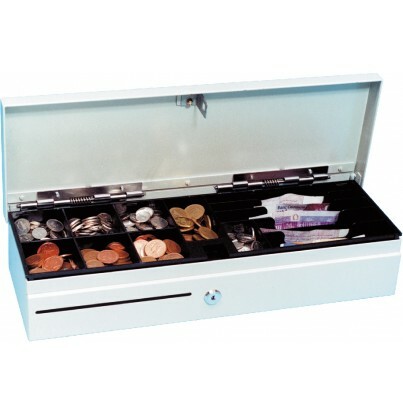 Flip-top, all-metal 5 Note, 8 Coin Cash Drawer. 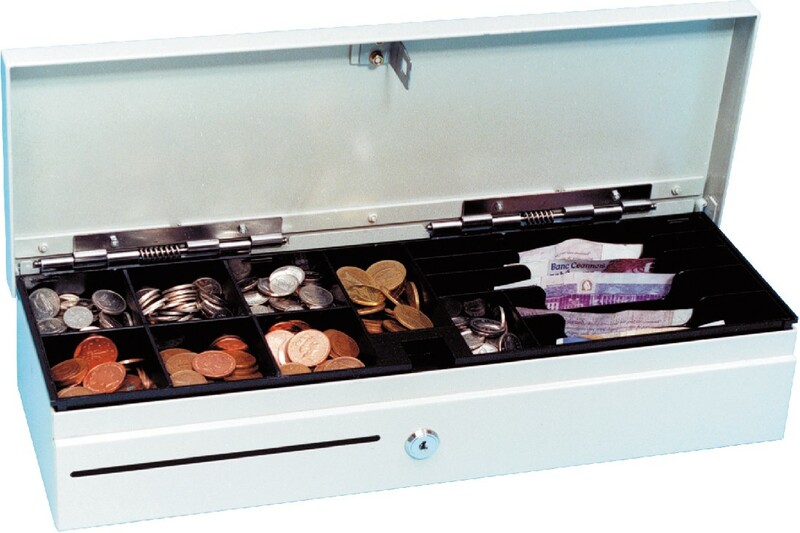 AURES 3ST 100 Cash Drawer - Flip Top drawer with 5 notes and 8 coin compartments, plus a slot for receipts. 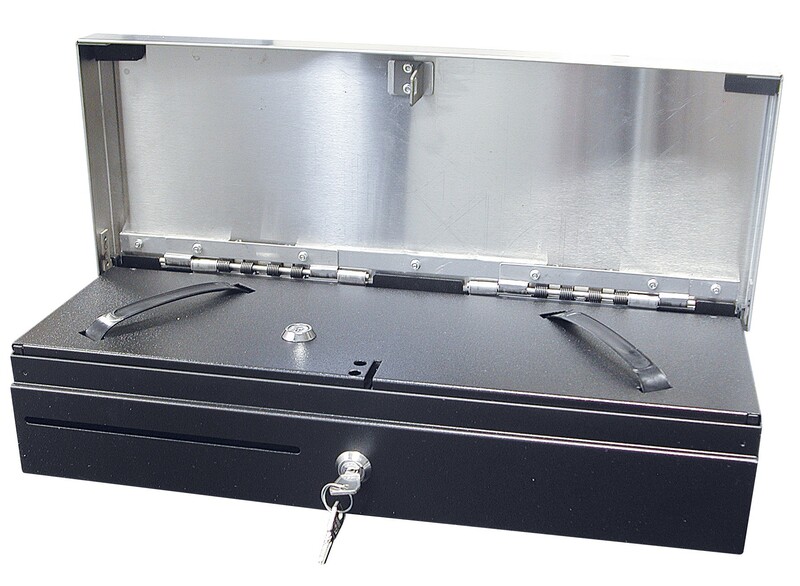 Supplied with a safety and secure insert with its own key lock, the 3ST-100 is specially designed for check out and supermarket applications. 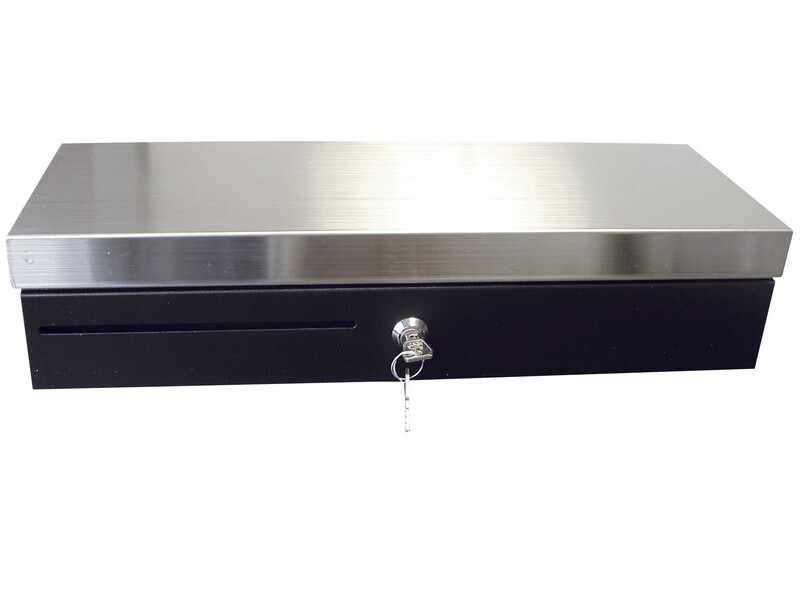 Available in beige and black, it can also be supplied with a stainless steel top.